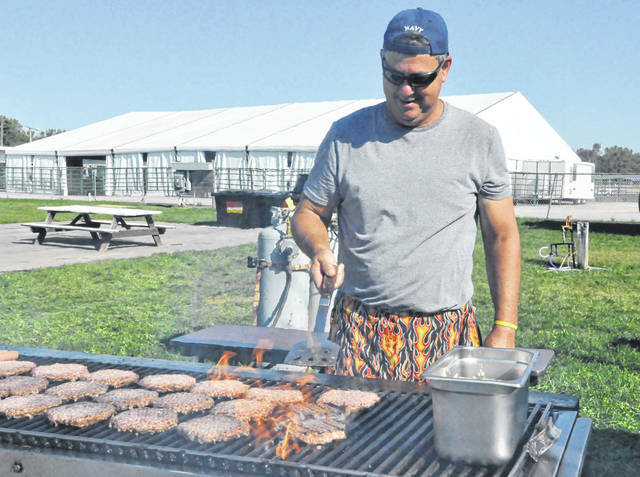 Prior to Tuesday’s lunch rush at the Delaware County Fair, Jim Severance grills up some hamburgers. Severance and his wife, Julie, have operated the build your own half-pound burger stand at the fair for over 15 years. The Ostrander couple noted the stand is a family tradition dating back over 50 years. 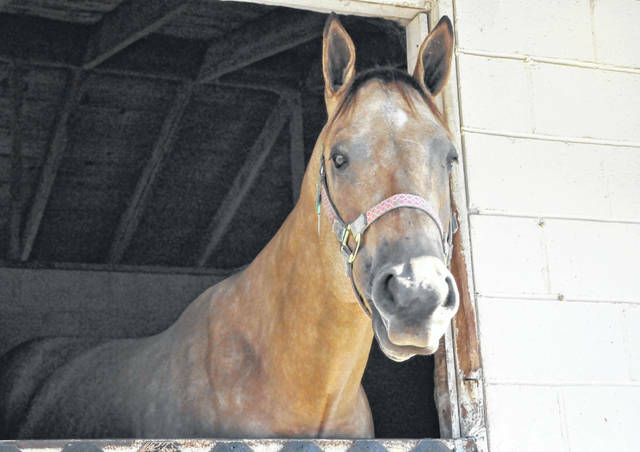 Eiley Clark’s horse, My Style is Radiant, poses for a photography on Tuesday morning. 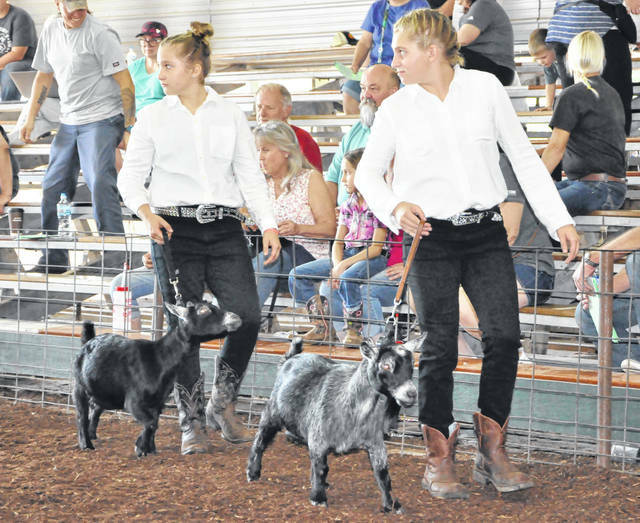 Morgan Hohman, left, and Natalie Hohman, right, look at the judge during the Pygmy Goat Showman of Showmen contest on Tuesday. For the second consecutive year, Natalie was crowned the winner. 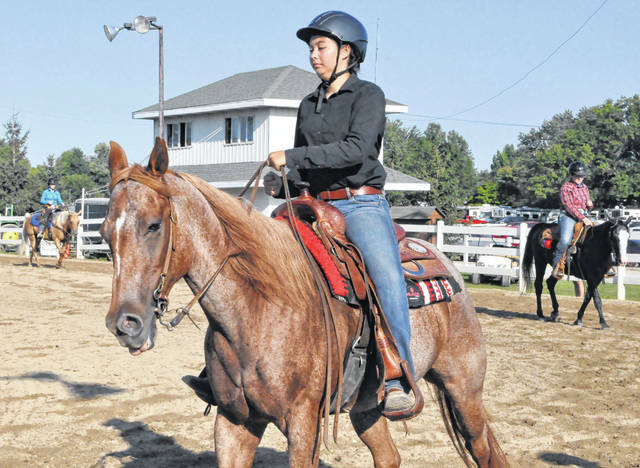 Maya Brehm competes in the Ranch Horse Pleasure class during the 2018 Junior Fair Horse Show on Tuesday. Emma Carpenter shows her pygmy goat on Tuesday at the Delaware County Fair. 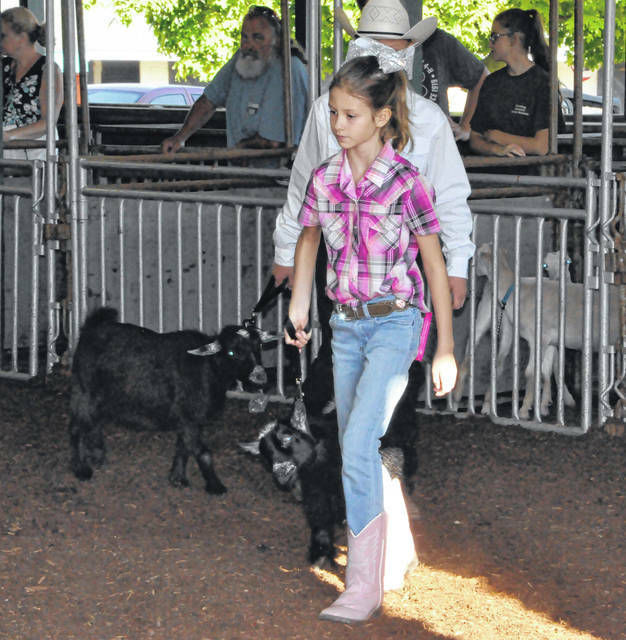 Carpenter earned a spot in the Pygmy Goat Showman of Showmen competition, but she fell just short of the title. 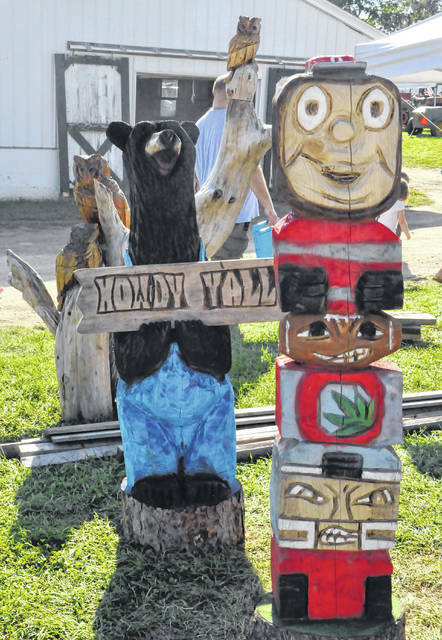 Pictured are several of the wood carvings on display at the Delaware County Fair.